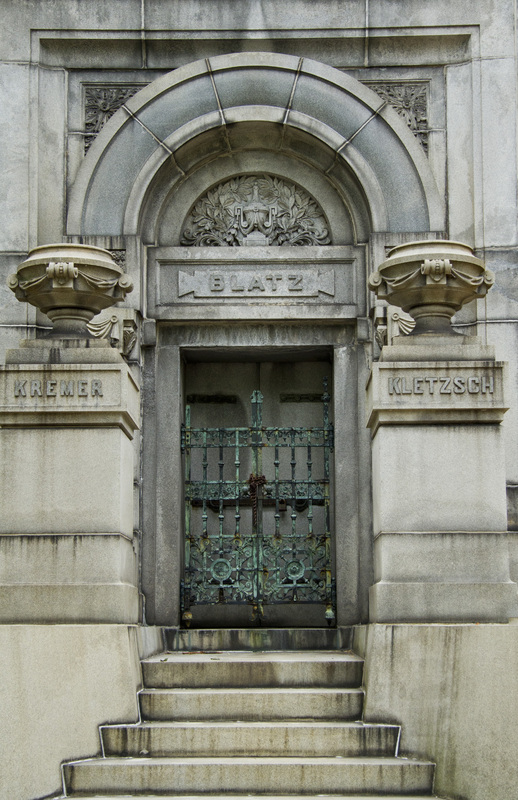 A few posts ago , I gave you the Blatz family crypt, located in Milwaukee’s Forest Home Cemetery. 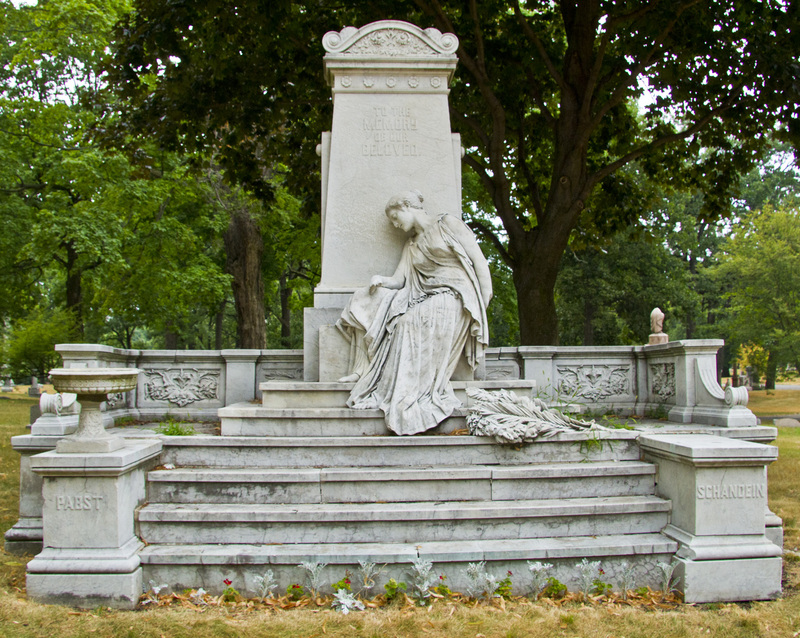 Forest Home is the final resting place for countless Wisconsin governors, politicians, historians, writers, entrepreneurs and just plain folks. Now, in the interest of completeness, I have the monuments or markers for the other Beer Barons, most of whom are buried within sight of each other. Okay…wait a minute. With all these governors and newspaper moguls and inventors lying about, I chose Beer Barons? 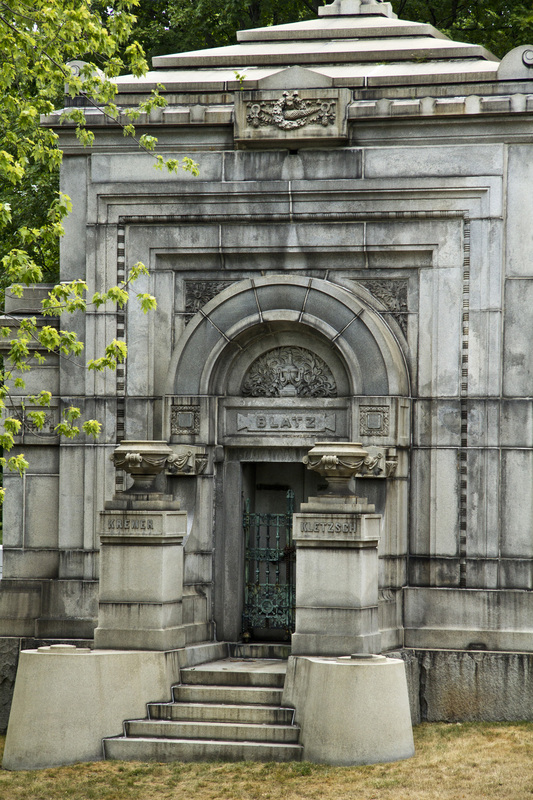 Most of the rest of the gang can be found across the road from the Blatz crypt. 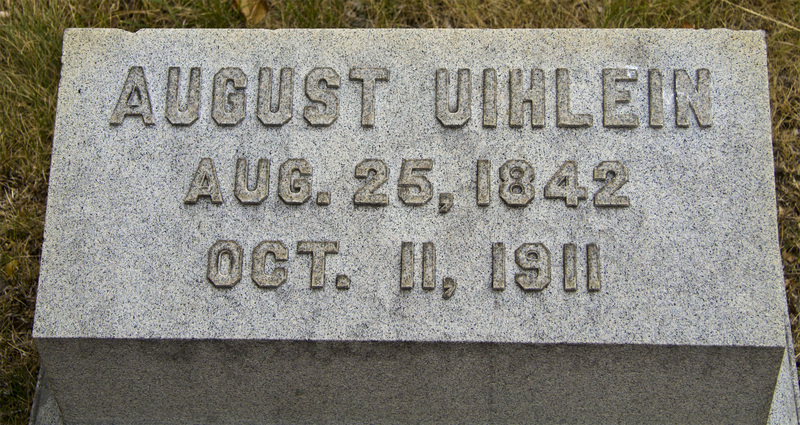 Adolph Krug and his nephew, August Uihlein, are buried there. Krug founded what later became the Schlitz brewery; upon Joseph Schlitz’s death, Augustus Uihlein took over the business. 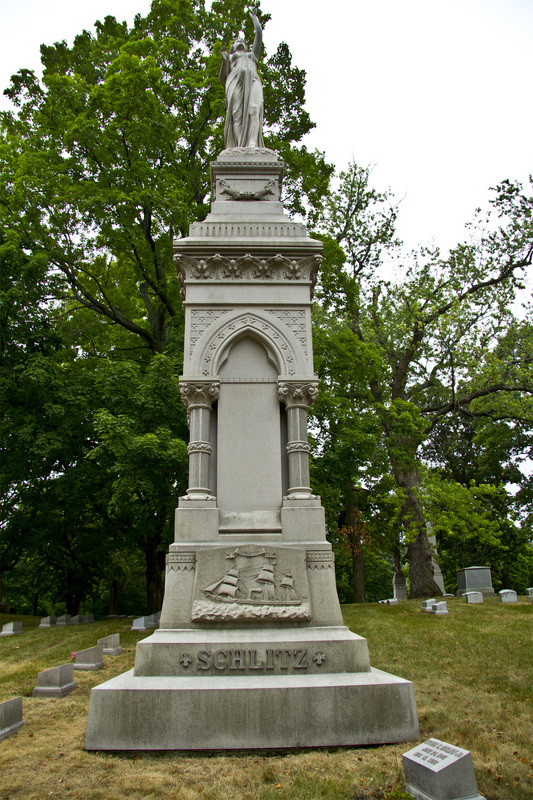 The Joseph Schlitz monument is grander than Krug’s or Uihlein’s.The ship at the base of the monument tells us that Schlitz was actually lost at sea in 1875, but the lack of an actual body is a minor point. 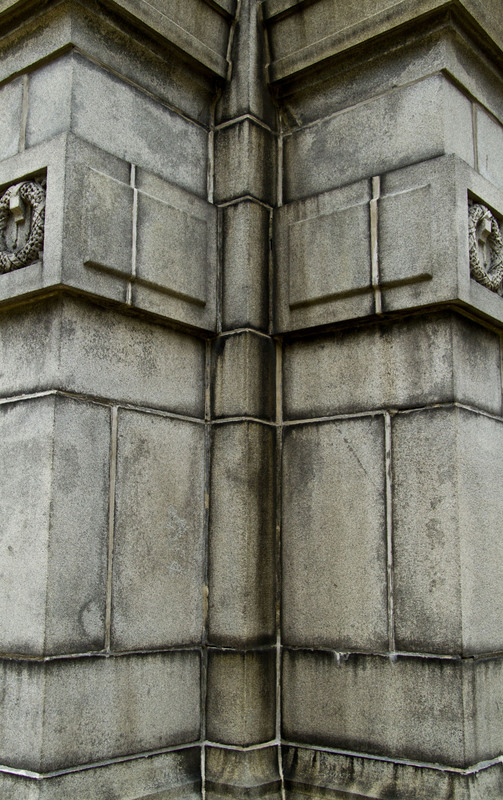 Finally, in a whole different part of the cemetery, the marker for the Jacob Best family. I found this one to be quite disappointing. Someone decided to do an upgrade and it just doesn’t work: way too slick and modern, though it is chock full o’ facts and does tie things back to the Pabst family. 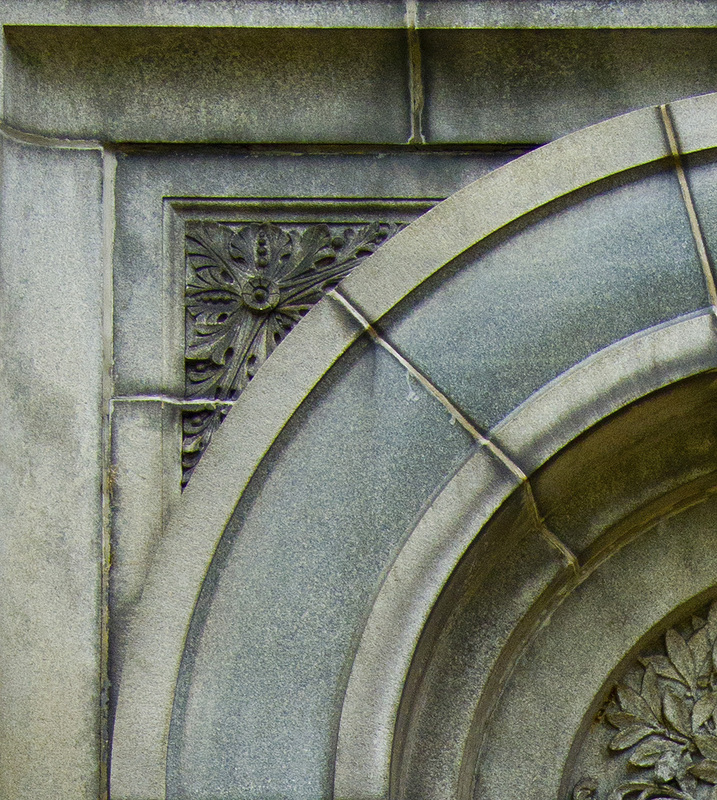 And so, gentle reader, thus endeth our ramble. 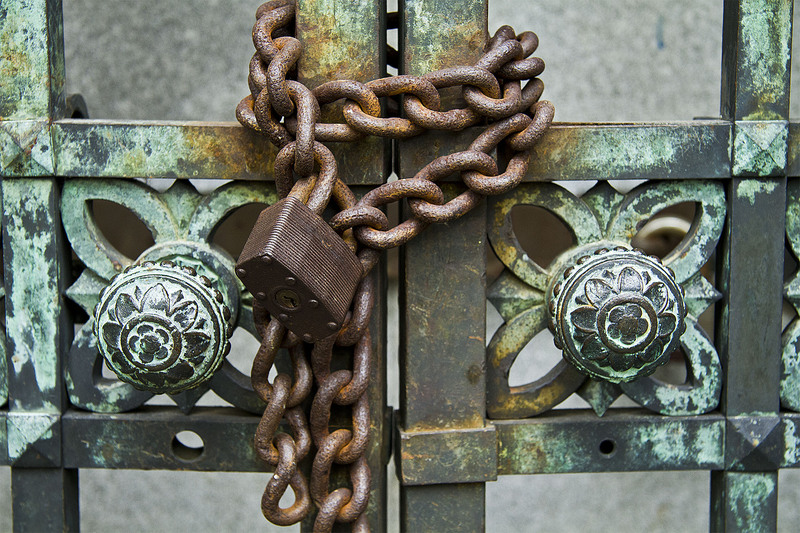 No more history for a while–I promise.